DfT have announced that Arriva, Stagecoach and First Trenitalia have prequalified to bid for the new East Midlands franchise that will run from 2018/19. 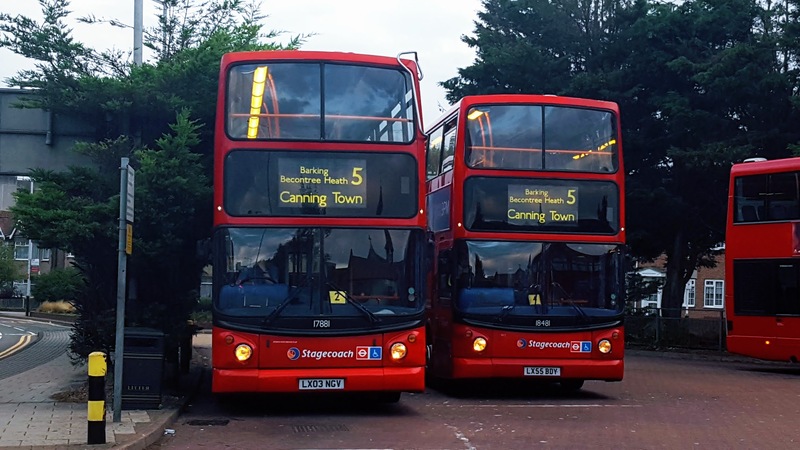 The existing franchise held by Stagecoach will be extended by up to 1 year to March 2019. Well there's proof, as if it were needed, that the Franchising schedule is up the creek. Can somebody explain why the government consider it necessary to change operators every few years. I see it as a waste of public money. If the rail user, the one paying for the service, is satisfied with the operator's performance, then why should that operator have to bid for the right to continue operating the service? Franchise agreements should remain in force indefinitely with a stipulation that the contract can be terminated by either party with twelve months notice with no questions asked. Then during that twelve months, other operators can be invited to bid. How is it the driver of a bus which is on time, on a route operating a 30-minutes frequency, can be "instructed" to wait for a short time to "even out the service? It's fairly easy to explain. Government policy, regardless of party, has been to favour a relatively short term approach to franchise terms. This is because it becomes extremely difficult to forecast how the economy will perform over the longer term. As the government likes the franchisee to take "revenue risk" (i.e. the operator keeps the fares income rather than it going to government) any franchise is effectively a "gamble" on whether the economy will do well (typically more people travel by train when times are good) or badly (fares income falls during recessions as people lose jobs, company mgrs do less business travel, there is less leisure travel). Asking the private sector to take long term revenue risk effectively inflates bid prices because bidders try to price in the risk of things possibly going badly. The other huge factor is simply that things change over time - businesses close, roads open, congestion worsens, travel patterns change, the state of the railway changes, new housing gets built. These all affect the services on offer and the demand for them. By keeping franchises relatively short it allows the government to reset the service requirements and put on new services or change service patterns. You can't have open ended contracts and all contracts have termination clauses in them but with strictly defined grounds for termination. There is no point in having 12 month termination periods because the entire franchise consultation, requirements writing, rebidding and mobilisation period takes between 2-3 years depending on the size of the franchise. 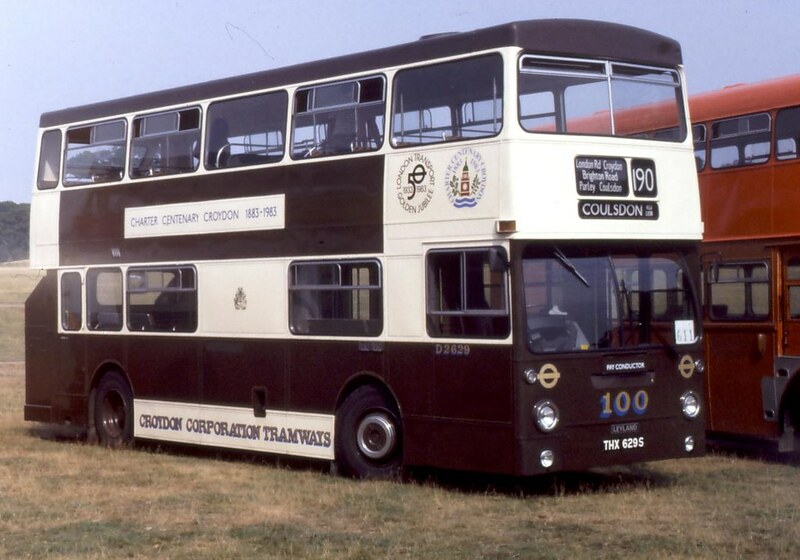 The only two exceptions to short franchises have been Chiltern and C2C. In both cases the franchises have had competent managements who were happy to take a longer term view and to keep their operation in decent shape. Chiltern also, uniquely, had a series of milestones built into the franchise to expand services which they have met. It is worth noting, though, that Chiltern has not been massively profitable despite having a lot of happy passengers and an expanding service package. I think government will hugely struggle with how they let the next Chiltern franchise as users will expect to see ongoing expansion and improvement whereas I expect government will want fares to rise hugely to generate a large premium payment. They will also have to contend with how Chiltern integrates into the East-West Rail company charged with reopening the old Varsity route from Aylesbury Vale Parkway / Bicester to Milton Keynes / Cambridge. TfL take a different approach in that they keep the revenue from the rail contracts they let / specify. They pay a fee to the TOC subject to performance. TfL also fund and specify any new investment in stations, passenger facilities and new trains. Thus far the Overground concept has worked pretty well but it relies on generous funding. If TfL had been allowed to take over South Eastern's inner area services then I suspect it would have been a disaster as there is not the money to achieve the same standards as on the North London line. It is also clear to me that the DfT intend to "rip off" as many of TfL's ideas as possible for the South Eastern franchise and, if they work, to then claim they can run franchises better than TfL. That's how pathetic things are likely to become due to the Grayling / Khan "mutual loathing society". My own view is that the TfL approach works far better for suburban services in urban areas but it needs good funding. Other franchises covering longer distance travel should probably be about 10-12 years long but with a suitable mechanism to cope with economic fluctuations / changes in requirements. The difficulty is also about getting a good deal when you are dealng with an incumbent. Look what happened with SWT - DfT couldn't / wouldn't make a deal with Stagecoach and we ended with a franchise transfer in the midst of the Waterloo works and the loss of Stagecoach's emphasis on performance. I haven't read anything good about SWR (First / MTR) since they took over. You already have Bombardier diesels which you claim to be unreliable ... so wish them to be replaced by further Bombardier diesels? Seems GWR are getting a load of former class 317s converted as class 769s with the potential for tri-mode operation - third rail, overhead and diesel power packs. These are to be used on the Thames Valley branches and Reading - Gatwick / Reading - Basingstoke locals. That would mark the second time they've done that, after doing similar with the SouthEastern franchise. Would be quite a blow to them now if they don't actually win the West Coast Partnership. Converted from 319s, not 317s.